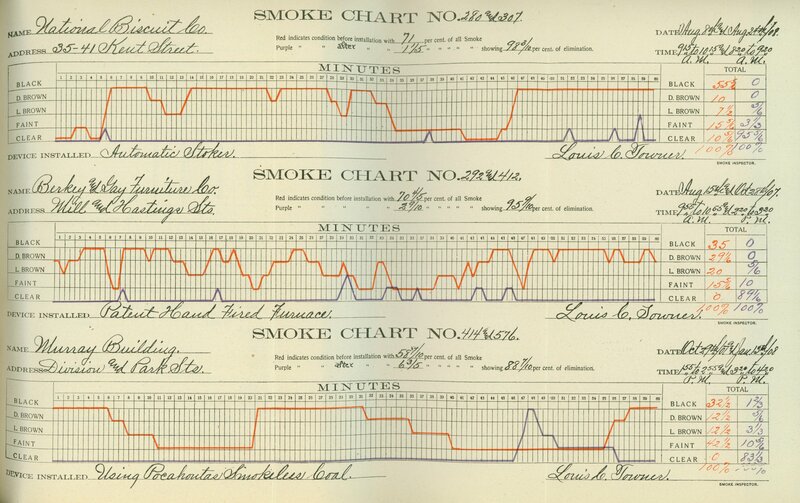 Towner's chart on the National Biscuit Co., Berkey and Gay Furniture, and the Murray Building showing the level of pollution prior (red line) to either installing new equipment or changing the quality of coal used (purple line). The figures at the far right of the chart show percentage changes related to the colored lines on the chart. Title by cataloger. 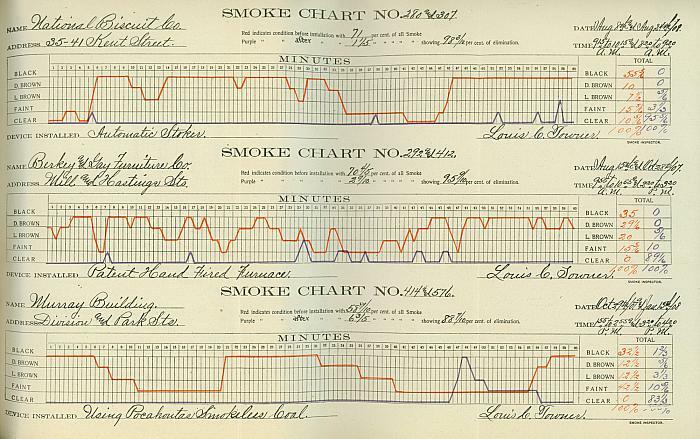 Chart is taken from the Smoke Inspector's report in the Grand Rapids Annual Report of City Departments 1908-09.